Just in time for the holidays, this recipe is simple and easy! Only two ingredients and in five minutes, you have a gourmet and delicious appetizer. 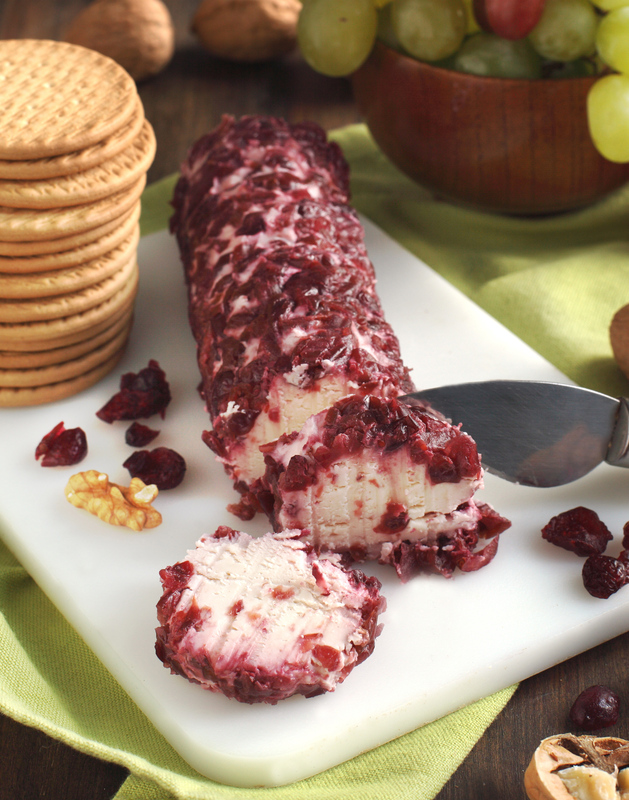 Remove fresh Goat cheese from packaging and set aside Evenly distribute cranberries on a sheet of parchment paper Roll log into the cranberries and wrap with the parchment paper Firmly roll wrapped log so cranberries adhere to the cheese Place in refrigerator to chill Unwrap log 30 minutes before serving Serve with your favorite breads or crackers.